Phindile Baleni, studied for her BProc and LLB degrees at the University of Witwatersrand and is admitted as an attorney and a conveyancer. In 1994 she became a special legal advisor to the then Gauteng MEC for Local Government and Housing on constitutional and administrative law issues. During her tenure, she was also appointed by President Nelson Mandela to the Board of Directors of NURCHA, one of his lead projects for the Reconstruction and Development Programme. At the end of 1996, Baleni joined the City of Johannesburg, where she accumulated substantive experience in strategic planning and management of complex and diverse projects, spearheading some of the transformation initiatives and the formation of new municipal owned entities. She ended her tenure at the City as an Executive Director of the Contract Management Unit. In July 2003, Baleni joined Electricity Distribution Industry (EDI) Holdings as Chief Executive Officer, an organisation formed to establish six financially viable Regional Electricity Distributors (REDs) in South Africa, by the then Department of Minerals and Energy. This national project involved assets worth R270 billion and approximately 30 000 employees. 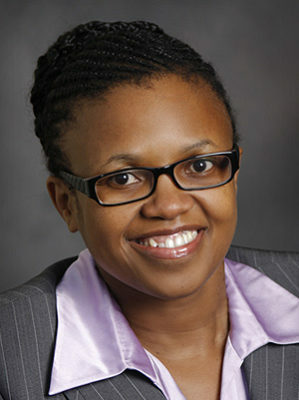 Baleni was appointed as the Chief Executive Officer of the National Energy Regulator of South Africa (NERSA) in April 2011. Furthermore, in this capacity, she was the Chairperson of the Regional Electricity Regional Regulators Association (RERA) in the Southern African Development Community (SADC) and an Executive Committee Member of the African Forum for utility Regulators (AFUR). She serves on the boards of the Manufacturing, Engineering and Related Services SETA (MERSETA), the CSIR as well as the Council of Wits University. In March 2015, Baleni assumed duty as the Director-General in the Gauteng Office of the Premier.